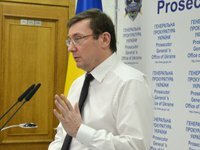 The Prosecutor General's Office (PGO) of Ukraine and Specialized Anti-corruption Prosecutor's Office (SAPO) are probing into the lawfulness of housing refund payment to over 20 lawmakers, PGO Chief Yuriy Lutsenko said. "As far as I know, both the PGO and SAPO have gathered materials…These are more than 20 lawmakers who receive refunds for housing while they have houses in Kyiv, within 30 km, as is foreseen in laws," he told reporters in Kyiv on Monday answering a question about motions being prepared to strip new lawmakers of parliamentary immunity. This probe concerns members of almost every parliamentary faction, he added.